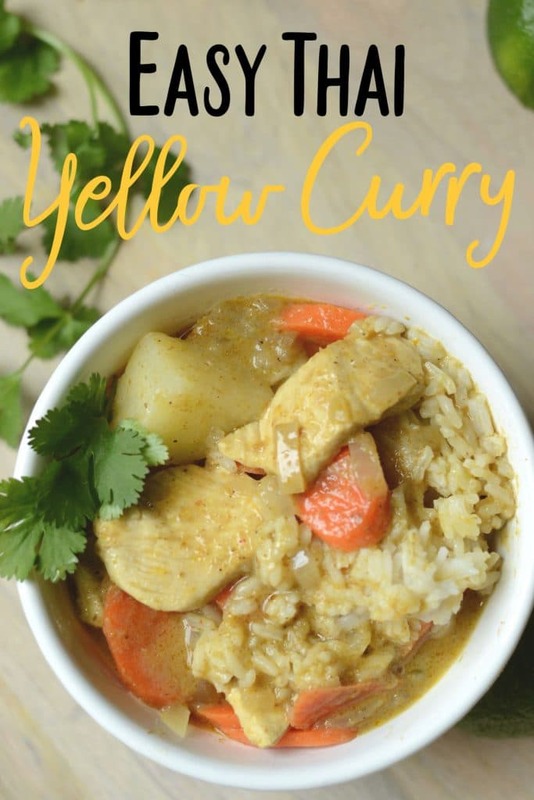 I’ve had an ongoing love affair with Thai yellow curry for many years now, and I’ve finally figured out how to duplicate amazing restaurant quality yellow curry at home. 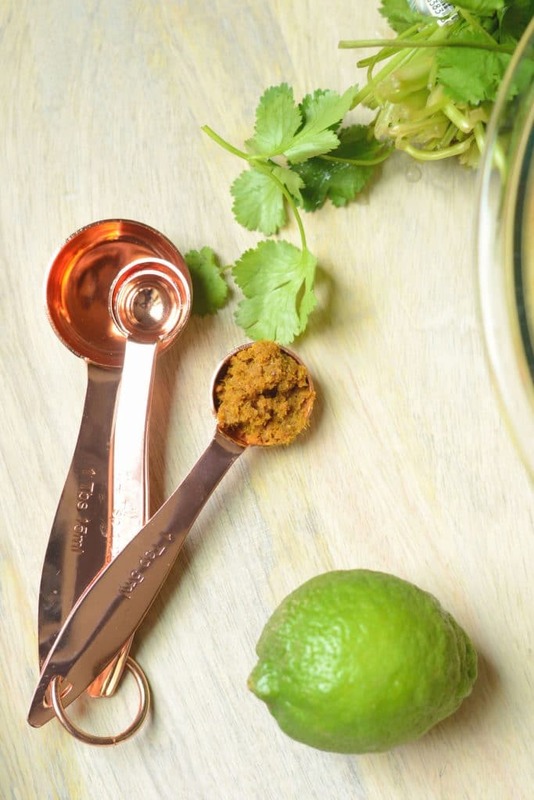 Since I use a store bought curry paste, it’s really quick and easy! 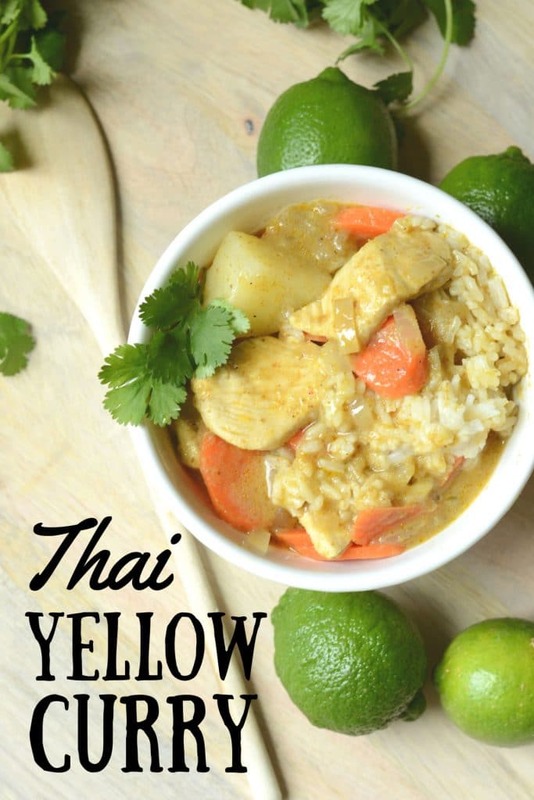 Once my craving for Thai yellow curry hits, I can’t rest until I have it. When I lived in California many years ago, I used to order it every single Sunday afternoon, and eat the entire container alone on my couch while binge watching reality TV. Secret: I’ve also been known to eat leftover yellow curry for breakfast. I’ve tried a few times to make it at home, but it never quite achieved the same flavor as my favorite restaurant’s curry. That is, until I discovered Mae Ploy yellow curry paste. This paste is SO good, and has all the same flavors and richness of the best of the best restaurant curry. Plus, it has the perfect amount of heat (in my opinion). It’s there, but not overpowering. So step one is to get your hands on some Mae Ploy paste. If you live near an Asian grocery store, you will probably find it there. If not, you can order it from Amazon. Next, you’ll need to buy some full fat, unsweetened coconut milk (the kind that comes in a can). It may be tempting to use low fat to save on calories, but you’ll be denying yourself that rich creamy texture that comes with the regular coconut milk. Third, you’ll want to snag some russet potatoes, thick carrots, brown sugar and a sweet onion. If you’re a fan of cilantro, buy some of that, too. I experimented with finding the perfect paste to coconut milk ratio. I will say, I love for my curry to be full of flavor. So that’s what this recipe is based on. 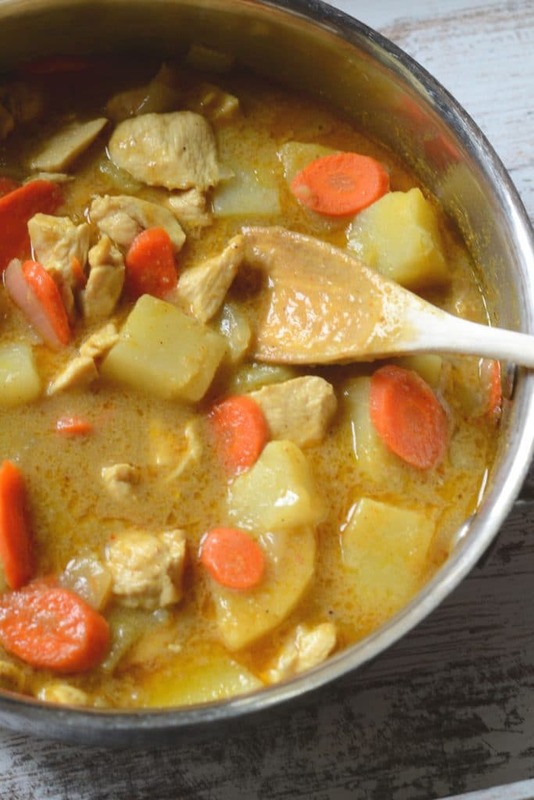 If you prefer your curries on the weaker side, then you may opt to use less curry paste your first time around. 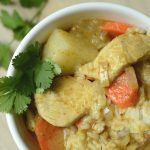 Can I substitute veggies or protein in yellow curry? Of course. 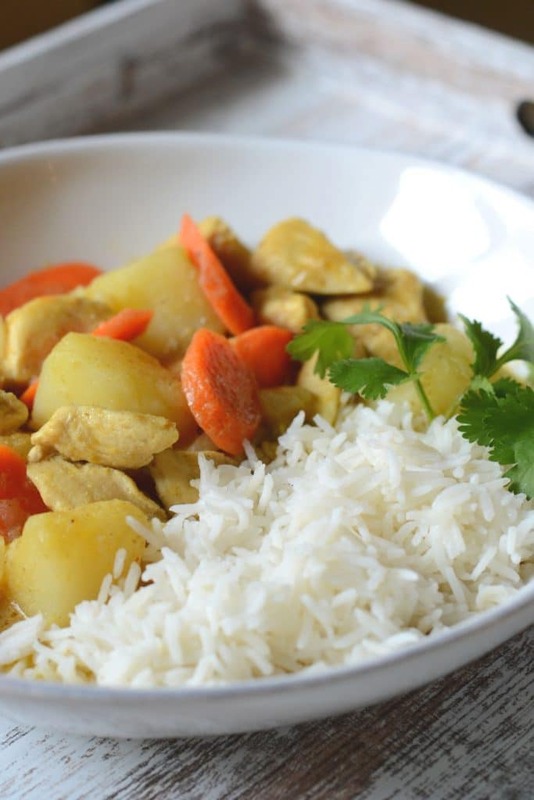 I chose to use potatoes, carrots and onions because that’s what’s traditionally in the yellow curry I order at restaurants, and I like it that way. But you’re welcome to use any veggies you like (red bell peppers work well, as do sweet potatoes). Just be aware of how long each vegetable takes to cook so that you know when to add them. As for protein, I recommend shrimp or lean pork as the best alternatives to chicken. 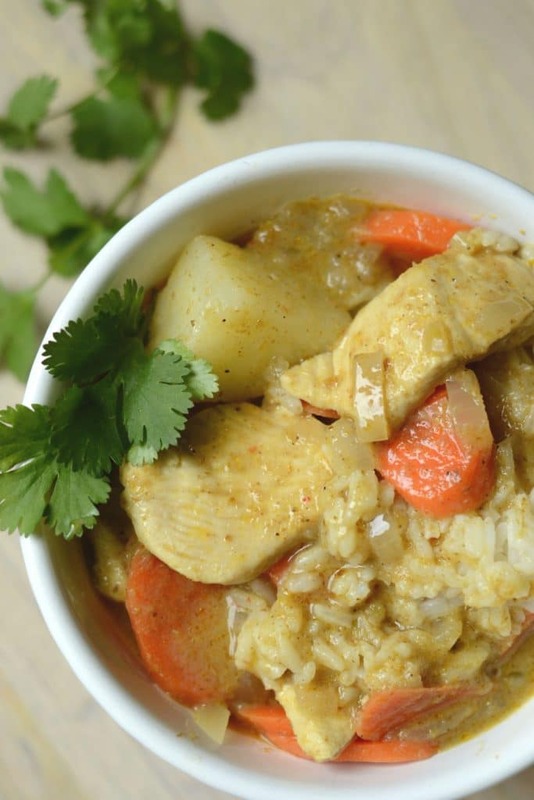 This curry tastes like it came straight from your favorite Thai restaurant. In a high sided saute pan over medium low heat, add canola oil and curry paste. Saute and stir the curry paste for 1-2 minutes, or until it becomes fragrant. Add coconut milk and brown sugar, and stir until combined. Once the mixture begins to bubble, add chicken and onion. Saute, stirring frequently for about five minutes, or until the chicken is opaque. Add potato, set to a low simmer, and cover. Cook for 10 minutes. Add carrot, stir, and cover. Cook for 5 more minutes. Remove cover and check potatoes and carrots for doneness. You want the potatoes to be tender, and the carrots to be soft, but still retain a bit of crispness. Serve over cooked jasmine rice. Add cilantro if desired. 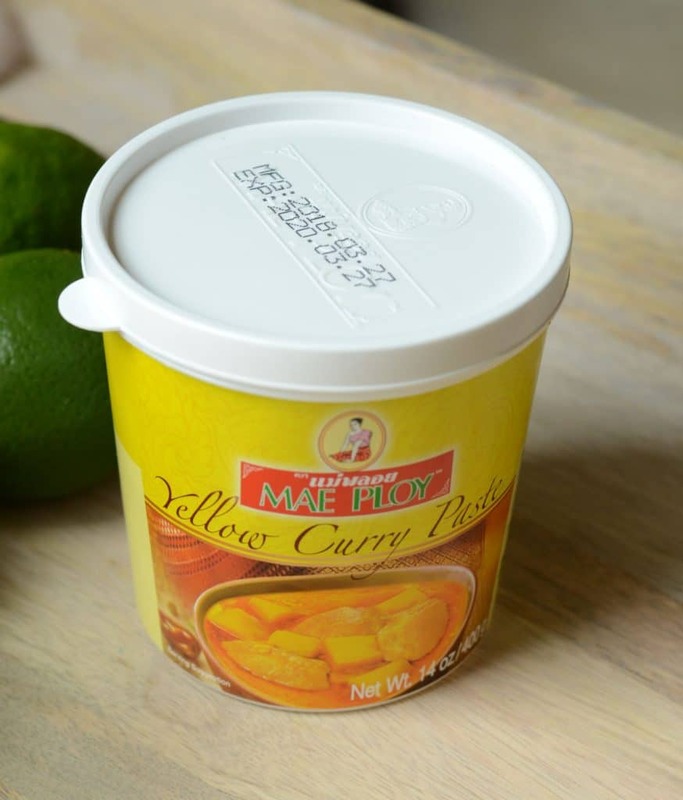 *I made this recipe using Mae Ploy yellow curry paste, so I can't vouch for how it will turn out with other curry pastes. If you want to try a different type of paste, just experiment with the combination of paste, coconut milk and brown sugar until you get the right flavor. Thank you!! I just ordered the paste from Amazon and printed the recipe. Can’t wait to try it.